In August, Toronto residents noticed the beginnings of what looked to be a Drake-sponsored venue, tentatively titled Pic6. Later, an ad for a sushi chef hinted that the new venture, officially called Pic 6ix, would indeed be a Drake-backed restaurant. Now, Pic 6ix appears to be officially almost open for business. 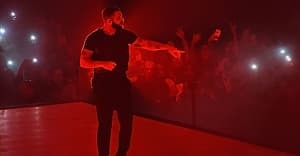 According to CTV News, Drake opened the doors to the new spot, which is reportedly a joint venture with OVO Chubbs, early to celebrate Dwyane Wade's birthday. In a private party thrown by Lebron James, the rapper posed for a series of photographs illustrating how much fun his new spot is. No official launch date has been set for the restaurant, but The FADER has reached out for more information, so you can start planning your next trip to Toronto soon. Thumbnail image courtesy of Michael Loccisano/Getty Images for TNT.